Oh, Florence. I love you. One of my favorite cities ever. I will definitely be back! 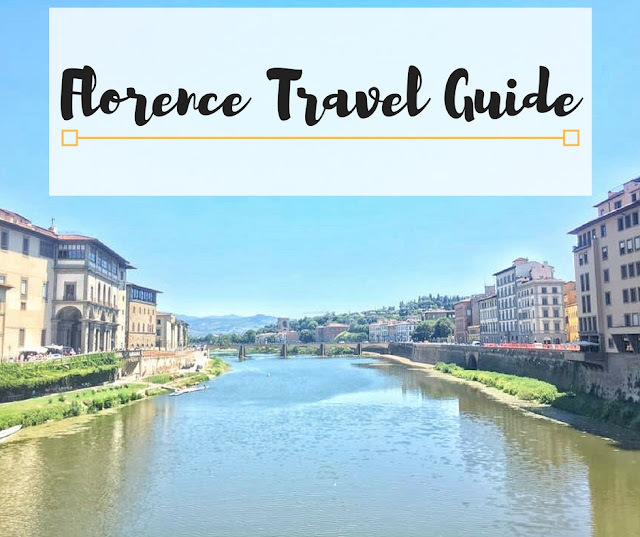 Have any of you ever been to Florence? What was your favorite part? 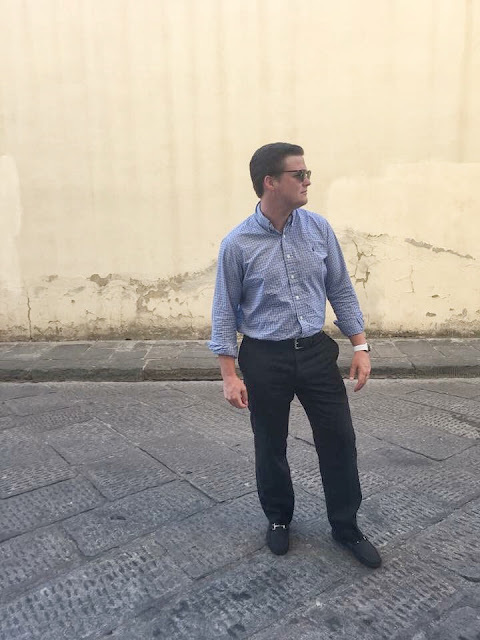 – Florence is a lot smaller than Rome, so it is much easier to get around on foot, in my opinion. We only used a taxi to get to and from the train station. 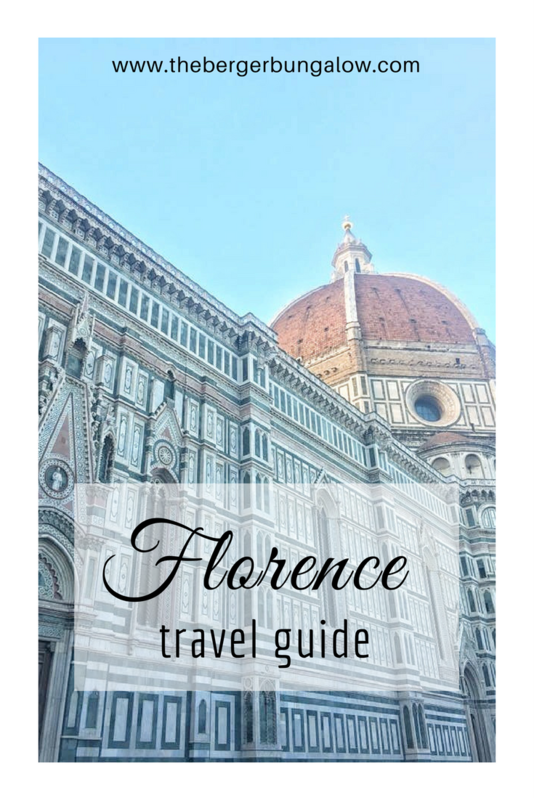 – Florence uses the euro, so make sure to exchange currency at the bank or an ATM. Most places take cash and some take card. 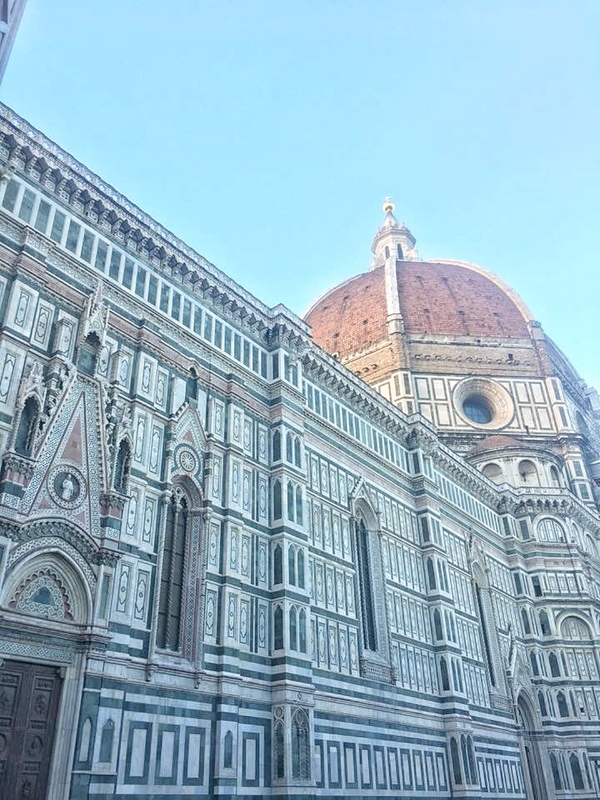 – Other than Venice, Florence was more relaxed than any other major city we visited in Italy. Grab a drink and hang out at a bar! – The ponte vecchio is overrated (in my opinion). – We stayed in an airbnb in Santa Croce and it was PERFECT. 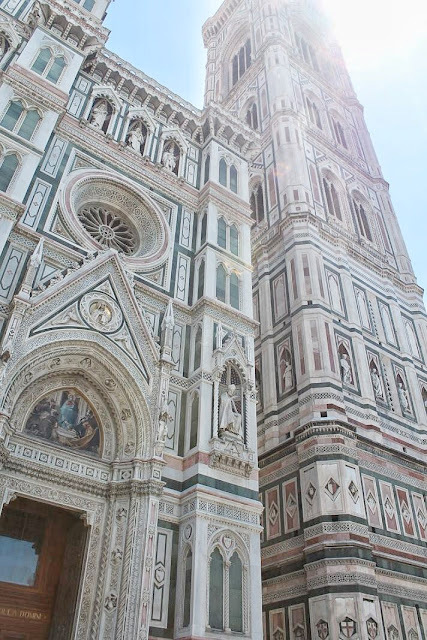 I loved this area of town because it wasn’t too close to the Duomo, which to me = less tourists. 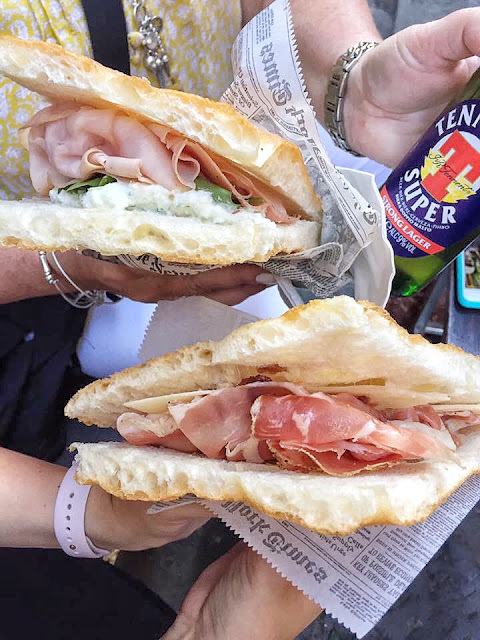 Pane e Toscana – Our favorite place to get a panino. It was the best! I’tuscani 2 – Amazing steak and sides. La Prosciutteria – No words. It was fabulous! Tres Panaches – If you are in search of truffles, go here. So good! 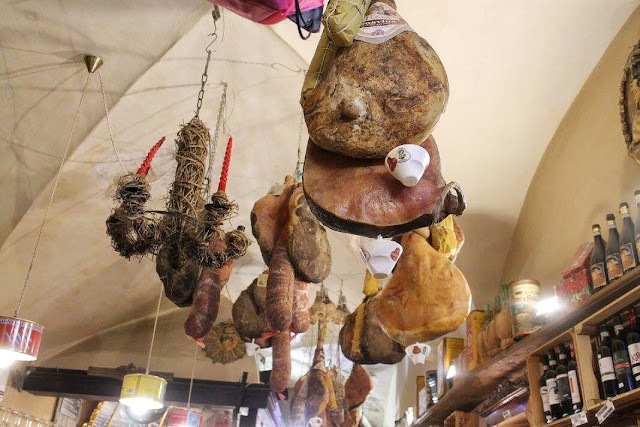 Antico Vinaio – Long line, but it moves fast. Great paninis. 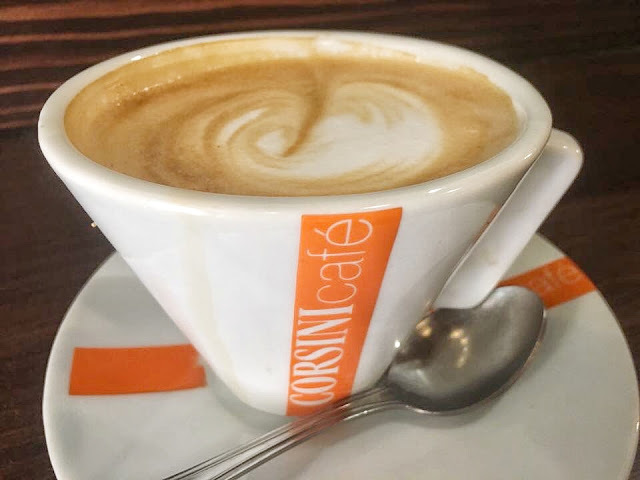 Le Vespe Cafe – The best cappuccinos we had while in Italy. 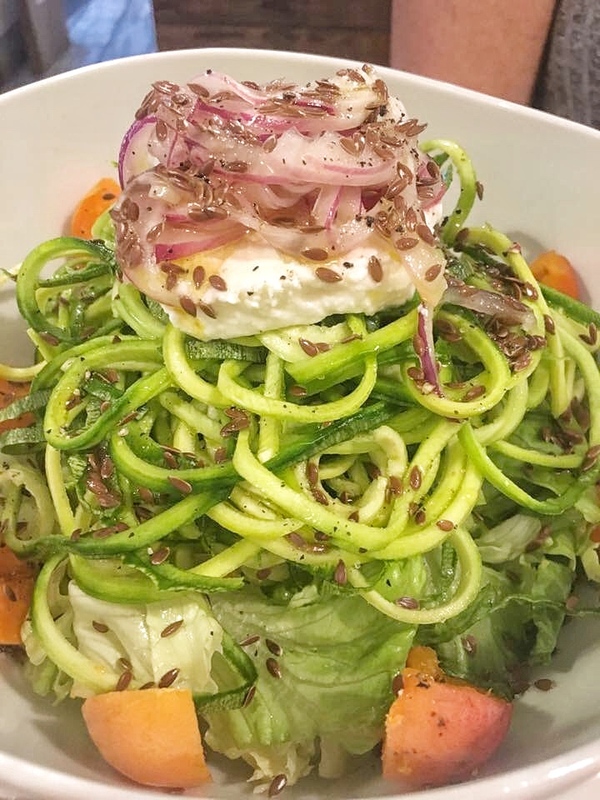 Carduccio – Healthy food, really good and unique! Zeb – AMAZING. Go here before you leave Florence. My review of it is here. LA Carraia – There are two locations: the one on the other side of the river is better, but both are fantastic! 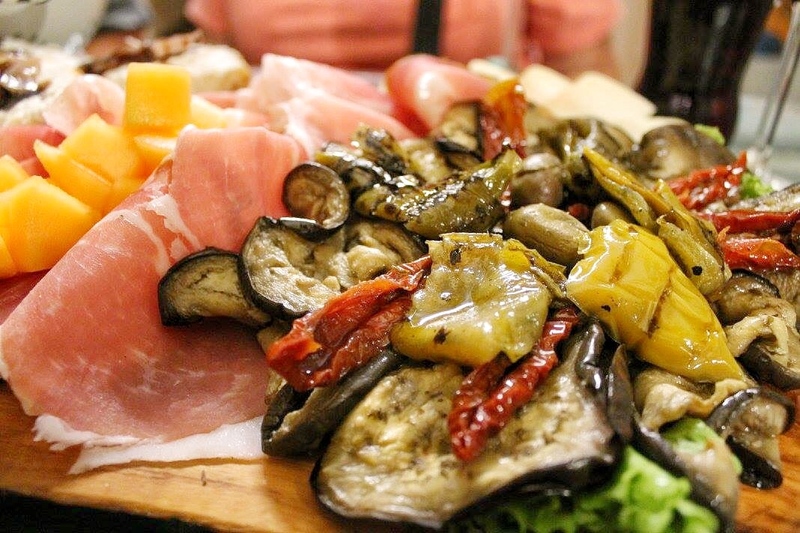 Dei Neri – One of our favorites. Their lemon granita is amazing! La Strega Nocciola – Other side of the river, it was fantastic. Vivoli – Probably my favorite gelato place. It’s definitely this place vs. Dei Neri. 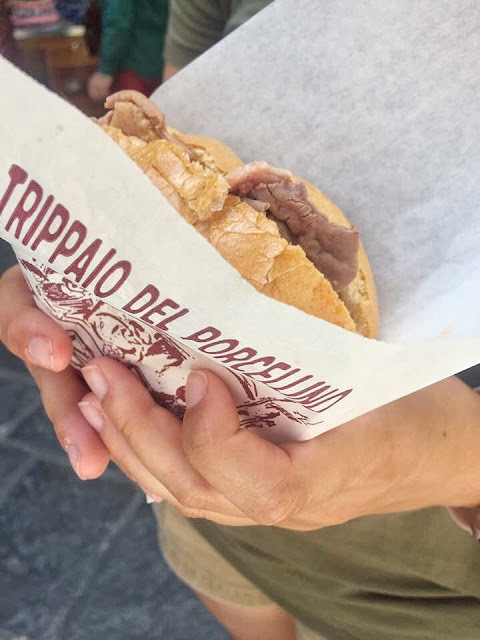 Trippaio Del Porcellino – Great tripe sandwich! 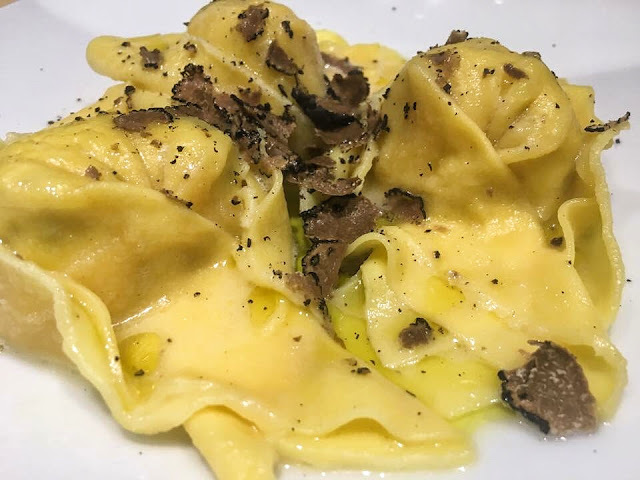 La Giostra – This place has fantastic reviews and was recommended to me by quite a few people on Girls Love Travel. Il Santo Bevitore – Once again, fantastic ratings! Buca Lapi – The steak is supposed to be amazing. Cantinetta Delle Terme – All of the reviews on TA were perfect. Gustapizza – This is supposed to be THE best pizza in Florence. Gelateria Riva Reno – We actually walked past this place and almost stopped. Wish we would have! 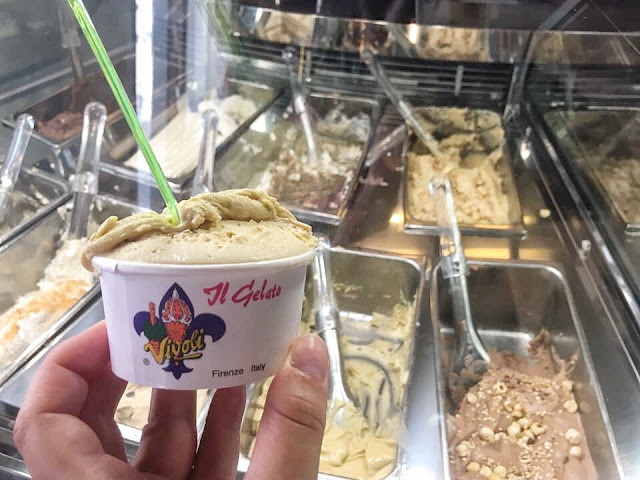 #RAW – This place is supposed to be great – I really wanted to try their coconut water gelato. Il santino – They are supposed to have great wine and charcuterie. What more could you ask for? 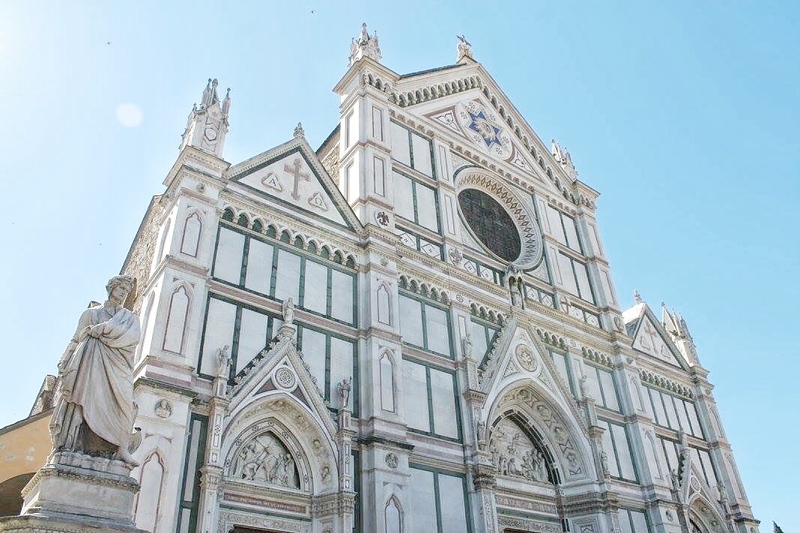 Irene Firenze – Ugh. I am sad we didn’t go here. I follow them on Instagram and everything looks over the top amazing. – Goodness, this is hard to come up with specific things to do in Florence because there is just so much good there. You cannot go wrong with anything you do! Day 1: We checked into our apartment and then walked to the Duomo. We were hungry, so on our way, we stopped at pane e toscana. After walking around a bit, we had dinner at I’tuscani 2. 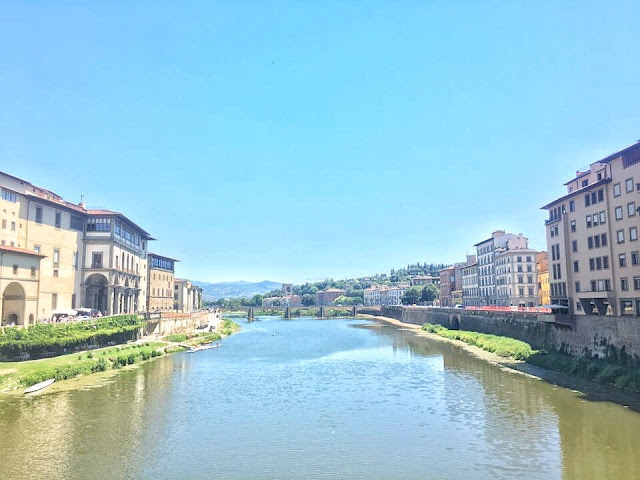 Then, we had gelato at La Carraia, across the bridge. Day 2: Ian and I woke up before everyone, so we had breakfast at Marios Bar. After we met up with everyone, we walked to the Duomo to check it out, but we realized quickly that you need reservations if you want to get in! So, instead, we went to La Prosciutteria. After that, we had lunch at Dei Neri and we relaxed for a bit. That night, we walked and ate a late dinner at Tres Panaches. Day 3: This is the day of our wine tour in Montalcino. This was SUCH an amazing day – I am writing an entire post on it, don’t worry!! Antico Vinaio was for dinner after our wine coma and Gelato at Dei Neri again. Day 4: On day 4, we walked around the other side of the river, but before we left, Ian and I went to Le Vespe Cafe and had the BEST cappuccino of our lives. 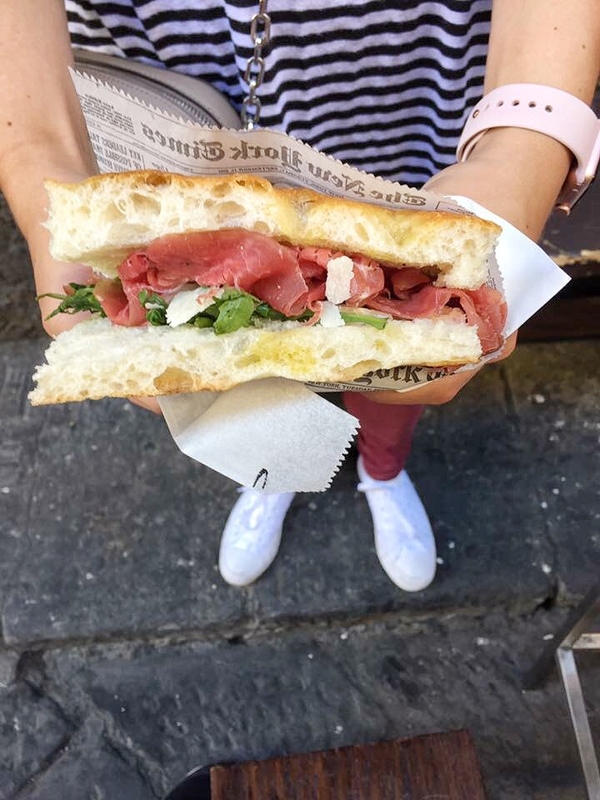 We also picked up another panino from Pane e Toscana and then headed to meet Ian’s parents at the Ponte Vecchio. 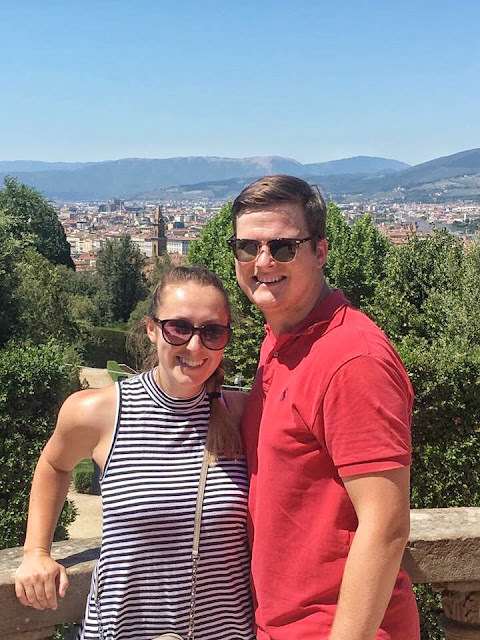 We crossed and made our way to the Pitti Palace and Boboli Gardens, which was great, but hot. 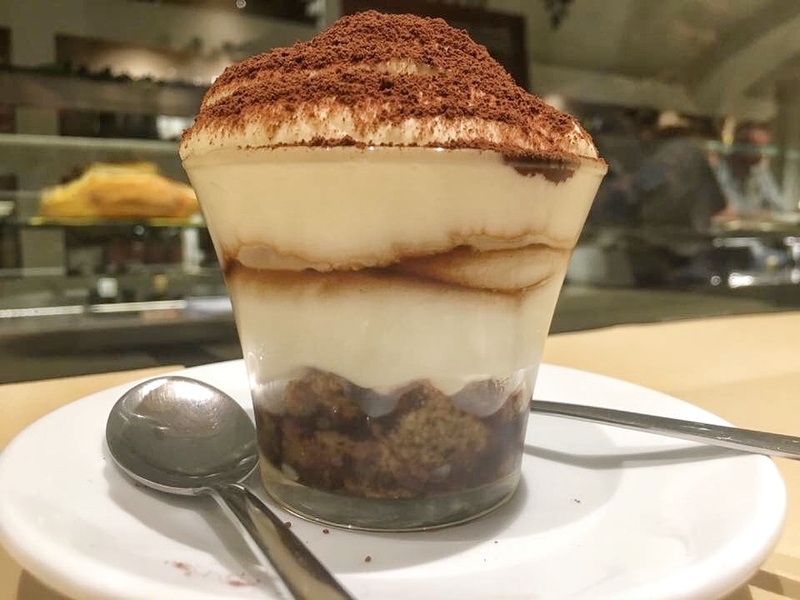 Then, we had lunch at Carduccio, which is known for their healthy bites and after, we had gelato at La Strega Nocciola. 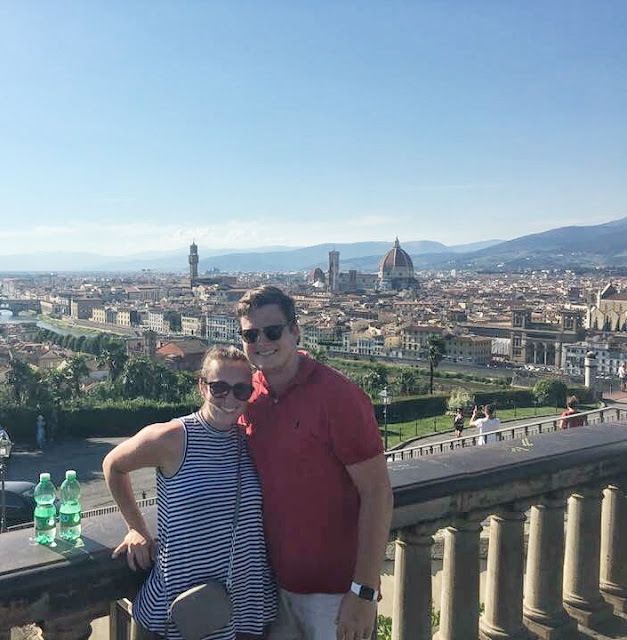 We separated from Ian’s parents and sister again and Ian and I climbed up to Piazzale Michelangelo to see a panoramic view of Florence. I highly recommend this – it’s not as hard as people say it is and so many people are taking breaks along the way! For dinner, Ian and I ate at Zeb. Holy. Cow. That’s all I will say about it for now because I have a big review coming your way. 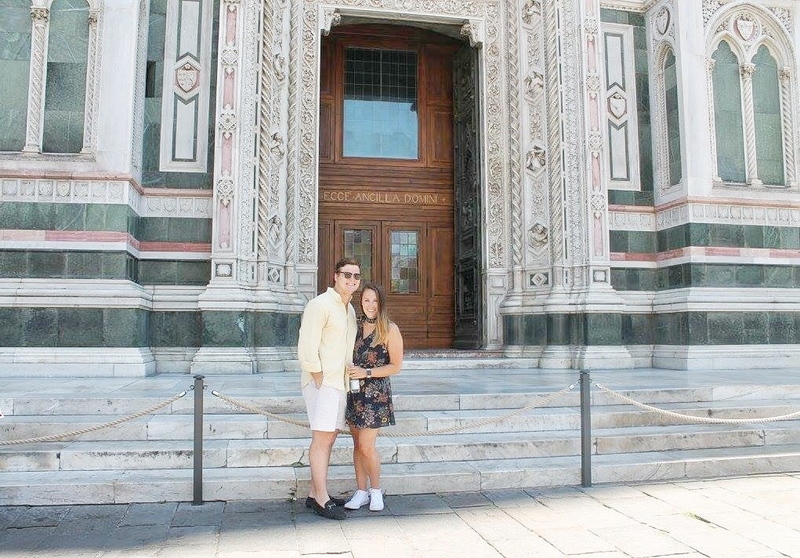 Day 5: Cinque Terre day trip!!!! More to come on this! 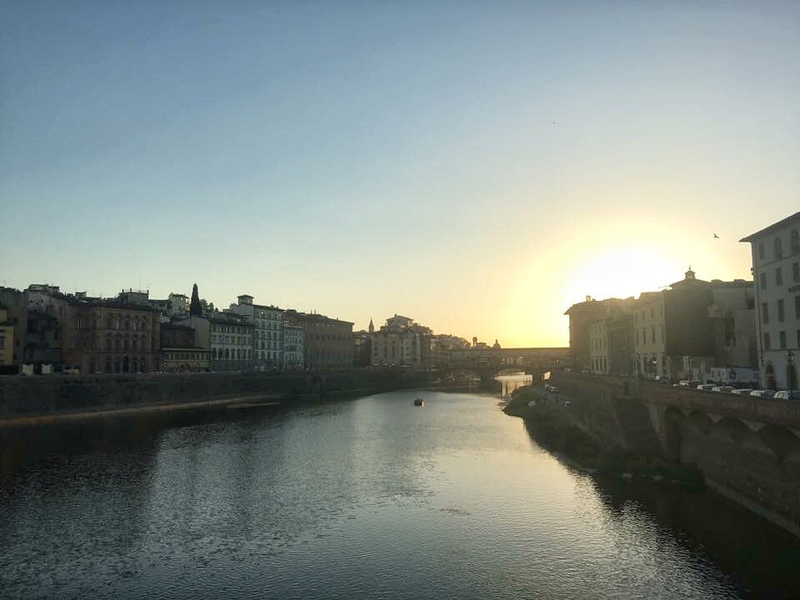 Day 6: For our last day in Florence, we wanted to just take it easy. Our goal was to just hang around different cafes around the city. Ian, myself and his parents started at our favorite bar – Le Vespe Cafe. We actually got breakfast here this morning. 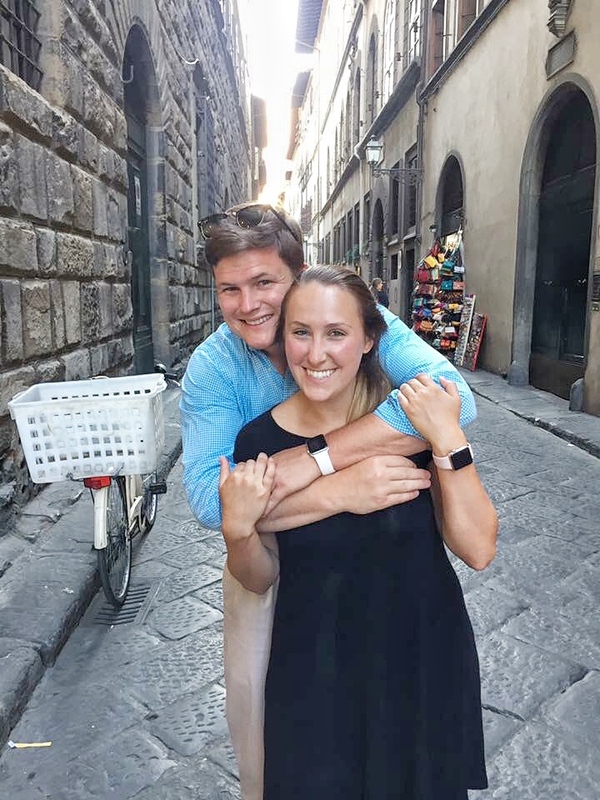 After that, Ian and I went to get our first tripe sandwich of the trip and then met Ian’s parent’s at Dondino, a wine bar in the Santa Croce square. 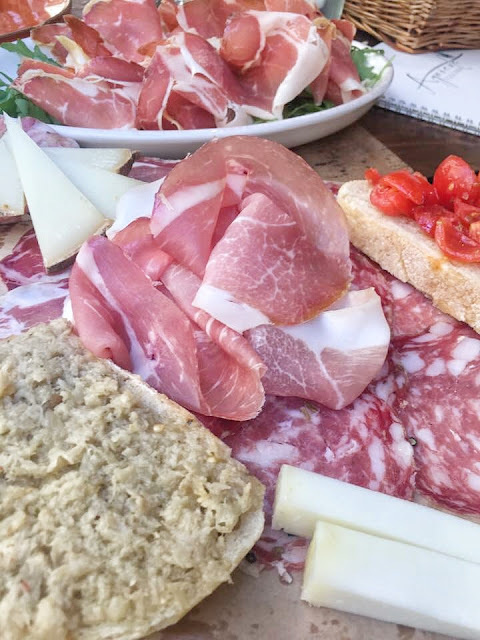 Then, we started our walk towards the Duomo, stopping at Vivoli of course and finally made it to our next stop — Agricola Toscana. We had wine and some snacks before heading to The Duomo to people watch and shop some. I ended up getting three paintings, a shirt for Emma, and a purse. We sat at Cafe de la Paix for drinks while people watching some more until the sun set. Then, our last dinner was at Pizzaman Via dell’Agnolo. Ian and I ended the day with another scoop from Vivoli – the perfect way to end a great day.